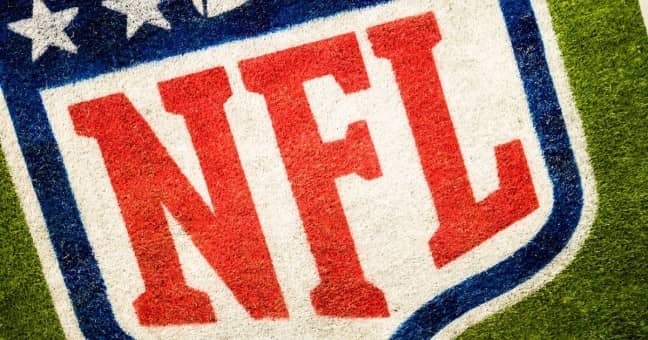 When the NFL and former players agreed to a landmark settlement worth an estimated $1 billion over injuries caused by head trauma, the league was likely hoping to put the controversy surrounding concussions behind it. Two former football greats recently announced they are suffering from brain diseases likely caused by playing in the NFL, continuing to bring attention to the ongoing issue of head trauma and long-term brain injuries related to football. First the wife of former Chicago Bears and Kansas University star running back Gale Sayers told the Kansas City Star that he was diagnosed with dementia four years ago. A few hours later, former San Francisco 49ers star wide receiver Dwight Clark announced on his website that he was diagnosed with amyotrophic lateral sclerosis (ALS), also known as Lou Gehrig’s disease. Columnist Vahe Gregorian spent time with Sayers’ family and found out more about the 73-year-old football great, fondly nicknamed the Kansas Comet. His wife, Ardie, said that Sayers had been diagnosed just four years ago but that the disease’s onset likely started as far back as 2007. Although she said that Sayers is physically as healthy “as a horse,” he sometimes struggles to have conversations and often forgets where he is. They work on simple things like signing his name. Although the Sayers family didn’t keep his illness a secret, they decided to finally share it publicly — both to raise awareness about his situation and to dispel false information people may have spread over the past few years. One of the most damning quotes in the article points to the potential cause of his dementia. Since he started feeling weakness in his left hand in September 2015, he has visited six neurologists and three ALS specialists to eliminate the possibility of other diseases. He said the only good news is that the disease seems to be progressing more slowly than in other patients. ALS is a progressive neurodegenerative disease that affects the nerve cells in the brain and spinal cord. It manifests itself differently person to person, but it can affect speech, muscle control, and even breathing. The cause of the disease is unknown, but Clark has some thoughts on what may have contributed. The news comes about a month after the registration period opened for former players to sign up for the settlement, which offers baseline neurological testing for all players and financial compensation for those with certain diseases. Sayers’ and Clark’s diagnoses, along with the strong connection between football and neurodegenerative brain diseases, has made many former players reconsider playing in the league. Miami Dolphins tight end announced his retirement earlier this month over concerns about his health after suffering four concussions in six seasons. Ben Roethlisberger, a quarterback for the Pittsburgh Steelers, is also considering retirement over health concerns, according to Ron Cook of the Pittsburgh Post-Gazette. After the team’s loss to the New England Patriots in the AFC championship game, Roethlisberger would not commit to returning to the field before talking to his family. As news about brain diseases in former players and stronger evidence linking football to long-term injuries continues to come out, more and more players may start considering their futures every time they step on the field.